This is a treasure trove if you're a fan of the genre and the art that came with it. Well researched and good fun. 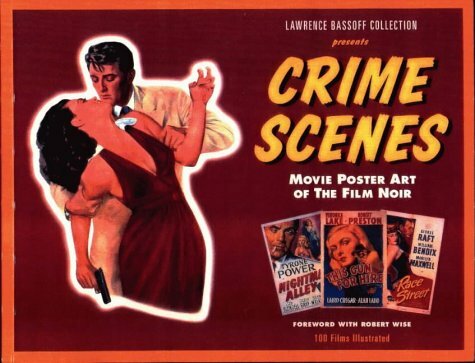 Oversized coffee table volume with beautiful film noir one sheets and lobby cards, worthy of any fan's hard-earned dollars. The book is divided into two-sections: an index of your favorite noir star with their film resume and poster, from Bogie ("The Enforcer") to Claire Trevor ("Johnny Angel"). Then there's a section devoted to the bigger noir favorites with tons of poster, lobby card and pressbook stuff, like "The Blue Dahlia" and "The Lady In The Lake". I love this book!